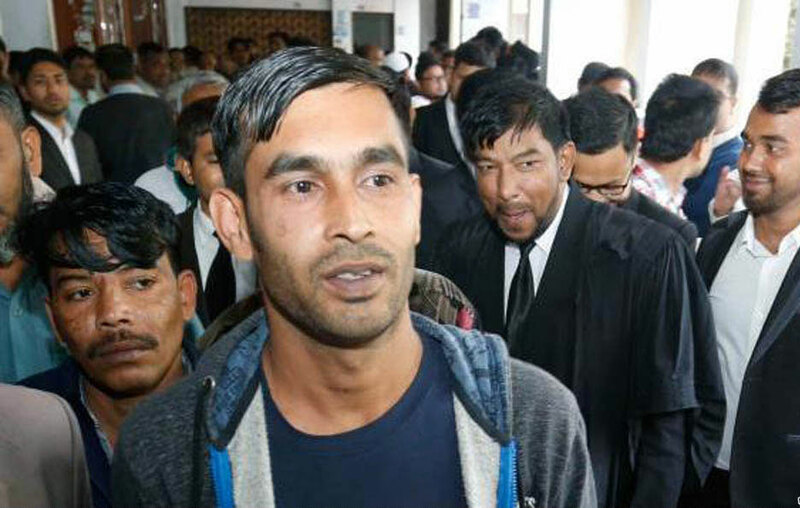 The High Court on Wednesday imposed a ban on making films and dramas on Jaha Alam, who spent three years in jail in place of the real accused in two dozen corruption cases. Justice Md Nazrul Islam Talukder and Justice KM Hafizul Alam’s bench issued the embargo after hearing a writ petition filed by the Anti-Corruption Commission. ACC lawyer Khurshid Alam Khan said the ban will remain effective until the disposal of the High Court’s suo-moto rule related to Jaha Alam. The ACC moved the High Court on Tuesday seeking a stay on a proposed film on the jute mill worker who was wrongly imprisoned. Two newspapers reported on March 13 that a film is set to be made on him. Khan said the High Court on March 6 noted that making films on sub-judice matters is tantamount to contempt of court. Jaha Alam languished in jail since February 2016 in 26 corruption cases in place of the real accused Abu Salek. He was arrested instead of Salek in cases filed by the ACC for misappropriating money. Jaha Alam was finally released from Kashimpur Central Jail-2 on February 4 following a High Court order.